Important - if you don't already have a Fomo account, create one. While logged in to Fomo, navigate to the Integrations tab. Search for 'ThriveCart' and click in to connect with it. Click 'connect with ThriveCart'. Copy the url in the webhook url field. 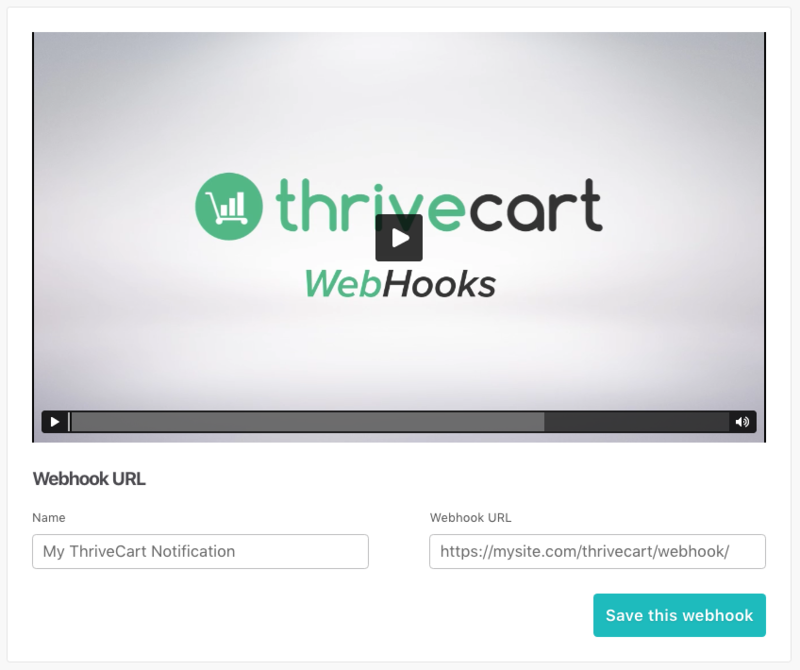 We'll be using this inside inside your ThriveCart admin dashboard. While logged in to ThriveCart, click on the settings button on the top-left. This will take show you a list of settings for ThriveCart. Click on 'View' under API & webhooks. Then 'View settings' under Webhooks & notifications. Then you should see something like this. Lets go ahead and copy and paste or Fomo Webhook URL into the Webhook URL field. Also, give it a name like 'Fomo-Webhook' so you can easily remember what this webhook is for. Save it! You should see something like this afterward. Phew, now you've set up ThriveCart and Fomo. Wherever you plant your Fomo snippet, you will begin to see a live stream of new transactions sent to your Fomo event feed, from ThriveCart. To edit the message structure of your Fomo notifications, simply visit the Templates tab while logged into Fomo, and edit the 'ThriveCart Order Completed' template. Note: feel free to rename this template.